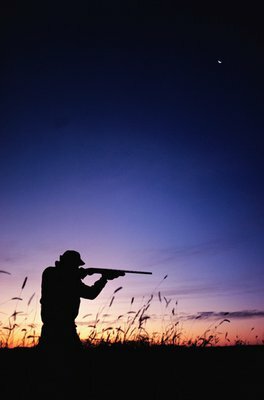 Whether you’re looking for whitetail deer, waterfowl, turkey or hogs, Oklahoma’s diverse public hunting lands offer thrilling hunting expeditions with a variety of game and hunting seasons available throughout the year. From trophy bucks to plentiful waterfowl, Oklahoma offers hunters a variety of experiences. Known as one of the top hunting destinations on the southern Plains, Oklahoma invites hunters of all ages to round up their gear and head out into the state’s picturesque hunting grounds. Enjoy the great outdoors as you wait for a beautiful buck to cross your path, or bring along your favorite hunting dog as you tip-toe through marshes hunting mallards. Get ready to get your boots dirty as you discover some of Oklahoma’s best hunting areas detailed below. Located in southeast Oklahoma’s breathtaking paradise of hardwood forest and pine-covered mountains sits the Three Rivers Wildlife Management Area in Broken Bow. Tucked away from the sounds and disturbances of main roads and encompassing over 200,000 acres of McCurtain County, this hunting area features everything from whitetail deer and raccoons to squirrels and rabbits wandering through the trees. Wild turkey hunters will love the three secluded walk-in turkey areas, while true camping aficionados will love the primitive camping opportunities. If you’re looking for a great place to hunt quail, robust populations of bobwhites can be found along the forest and clear-cut edges of the Honobia Creek Wildlife Management Area near Rattan. Head into the thinned pine plantations for even more action: deer, black bears and eastern wild turkeys can be found roaming the surrounding 76,000 acres. Stick to the creeks for waterfowl hunting where you’ll find an abundance of wood ducks and mallards. Primitive camping is allowed throughout the area and don’t forget your fishing pole to catch bass, sunfish and catfish in the area’s small ponds and rivers. Venture into acres of scenic wetlands at the Hackberry Flat Wildlife Management Area & Center for your chance to spot over 200 species of birds and waterfowl. The unique mixture of grass prairie and croplands attracts thousands of birds including ducks, geese and quail into the upland areas. Early settlers once drained these prolific wetlands for agricultural use, but this land has since been reclaimed and restored to its native state. Today, Hackberry Flat is known as the state’s premier waterfowl hunting destination. Field & Stream even called Hackberry Flat one of the top 25 public hunting areas in the United States. Wild turkey hunters will love the three secluded walk-in turkey areas, while true camping aficionados will love the primitive camping opportunities. Scour the old fields and native prairies of the Deep Fork National Wildlife Refuge in Okmulgee for quail, deer, turkeys, rabbits, doves, squirrels and more. Wildlife plots are planted each year; however, the area has remained largely unmanaged. This unique public hunting ground features a series of tracts along the Canadian and Deep Fork Rivers that provide habitats for a wealth of creatures including a variety of waterfowl. Wildlife watching, birding and photography are popular activities here, as well as fishing and archery/muzzle loader deer hunts. The Black Kettle National Grassland in Cheyenne, with its sweeping hills and wide variety of trees, is a beautiful place to spend a day hunting. The area is dominated by mixed grass prairie that attracts rabbits, quail, coyotes and raccoons. During the peak of their migration, doves can be found throughout the 30,000-acre area, as well as whitetail deer and Rio Grande wild turkeys. Primitive camping is welcome, but there are also dedicated camping areas if you prefer. You may also see rarer, non-game species including Oklahoma’s state bird, the Scissor-Tailed Flycatcher, while you hunt. In Atoka County, McGee Creek Reservoir offers nearly 9,000 acres of hunting lands within dense forest. Deer hunters will find a good number of whitetail deer, as well as quite a few eastern wild turkey and cottontail rabbits. There are 50 acres of wildlife habitat plots that are maintained annually. Stay awhile and set up camp in a designated primitive camping area or even rent a cabin and stay in comfort at neighboring McGee Creek State Park. Plan on fishing while there - the 3,300-acre lake in the park is one of the best places for trophy bass fishing in the state. Check out the state's hunting guide for information on licenses, hunting seasons and much more.